British spoken word artist Charlie Dupré released a music video retelling of Othello earlier this month. The piece is part of his ongoing project, “The Stories of Shakey P,” a collection of Shakespeare plays retold as rap songs. “OT” does a good job of breaking down Othello in a succinct, entertaining way, while also making it specific to contemporary British youth. The song also has a chorus reminiscent of Dido’s verses in “Stan”—sad, evocative, and crazy catchy. To drink, or not to drink: That’s not a question. The appropriately named Three Day Hangover is making Shakespeare a part of New York City nightlife with its highly energized bar-themed productions of the Bard’s plays. 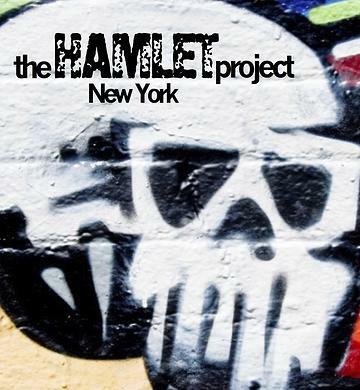 The HAMLET Project, which had a summer run at Harley’s Smokeshack, advertises itself as a “Shakespeare drinking theatrical event.” And boy, does it deliver. Cast members, armed with noisemakers, alert the audience to take shots throughout the show. (One cue guaranteed to kill your sobriety is to take a drink whenever a character says the word “king.”) The cast isn’t spared, either. Whenever a character dies, a bonus game called “Heaven or Hell” ensues, where the audience votes whether a deceased character goes to heaven (a shot of whiskey) or hell (a cup of boxed wine). At the performance I attended, only the actor playing Rosencrantz and Guildenstern visited heaven’s gates. Hamlet and company might drop more f-bombs than Shakespeare ever intended, and die-hard Shakespeare purists may not be pleased with Three Day Hangover’s liberal treatment of the text. Though it was on the irreverent side, many scenes still kept their dramatic gravity. The ghost scenes, in particular, were some of the best I’ve ever seen in a production of Hamlet (the ghost taking on the form of a homeless man notwithstanding). Their next show, a treatment on Romeo and Juliet titled The R+J Experience: Star-Cross’d Death Match, premieres tonight at Harley’s Smokeshack—and I will definitely be attending. For more information, check out Three Day Hangover’s website.